Pricing is completely isolated from catalog which allows connecting 3rd party platforms from Except and ERP to automated smart/dynamic price systems. By default Virto Commerce pricing engine will automatically select the product prices based on customer geo-location, previous purchasing, current shopping cart value or even weather in customer current location. Price lists can be used to organize prices into segments, for example retail prices, wholesale prices, european retail prices, partner prices and so on. That allows to accommodate both B2B, B2C and B2G scenarios using single unified platform. Open architecture and extensibility modules allow exporting products and prices into various popular price comparison systems. 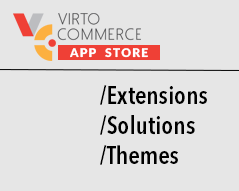 Virto Commerce offers free module to connect to Google Shopping.